LexisNexis believes when you put information and technology in the right hands, you empower people to change the world. LexisNexis is working to change the world for the better through specific projects, each of which enhance key elements of the rule of law. LexisNexis partnered with the International Bar Association in London to create eyeWitness to Atrocities. eyeWitness combined law and tech to assist human rights defenders in documenting and reporting human rights atrocities in a secure and verifiable way so the information can be used as evidence in a court of law. 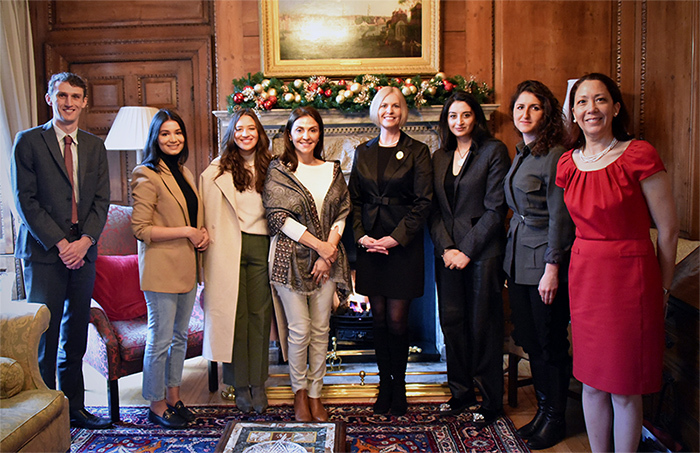 David McNaught, Sarah Haddadi, Noura Taher, Diana Hamade, Christina Blacklaws, Maha Bin Hendi, Ameena Al Mutawa and Terry Jennings at the residence of the President of the Law Society. In 2018, when Christina Blacklaws started her year as the 174th president of the Law Society of England and Wales, she was the fifth woman to hold that office. One of the first projects that Ms. Blacklaws outlined as her main priorities for the year is diversity and inclusion, focusing on social mobility and women in leadership in the law. LexisNexis is proud to be supporting Ms. Blacklaws and the Law Society in meeting that important “women in leadership in the law” priority. 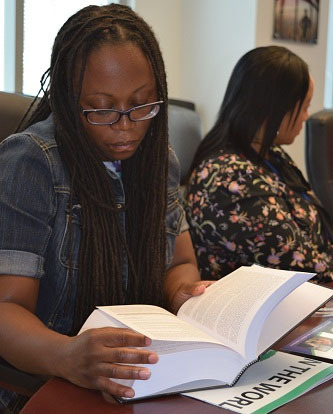 LaToya Hill, production supervisor with Reed Tech, reviews one of the Freedom in the World volumes to be scanned. LexisNexis and its Reed Tech business unit coordinated and implemented a rule of law–focused corporate responsibility project for not-for-profit entity Freedom House. Over 36 employees took advantage of program time allocated for corporate responsibility projects and worked almost 1,000 hours collectively to scan and provide data cleanup of the hard copy versions of Freedom in the World published by Freedom House between 1978 – 2014.